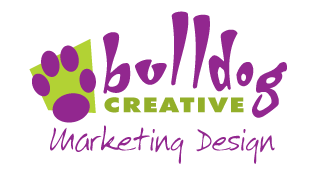 Like all designers and other professional service providers, Bulldog Creatrix base our prices on the time we spend on any given project. 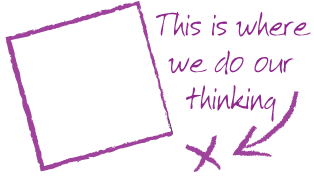 We do not sell products and therefore our commodity is time, which is valued based on our skills and extensive experience. As such, we have a Job Management Process to ensure we operate our business as efficiently and cost effectively as possible. This process also provides our clients with transparency and clarity before and during the whole design process. We establish the requirements and outcomes of each project, either by consultation or written instruction. We provide our clients with a detailed Return Brief, which outlines exactly what we are going to do, based on the brief taken at the time of consultation. This is one of the most important stages of the process. It forms the basis of how we proceed and, more importantly, estimate the cost of the project. The Return Brief is emailed to our client in the form of an interactive PDF which can be checked, amended if necessary and submitted back to the studio electronically. When, and only when, the Return Brief has been received back into the studio, we will calculate the time required and any other costs to complete the project and issue a detailed Estimate. The Estimate must be approved by the client before any work begins on the project. When we receive notification of approval, we will issue a 50% Deposit Invoice. Once we have received payment of the 50% Deposit Invoice we can begin work*. When the project is completed, it is the client's responsibility to thoroughly check the design/artwork. Proofs will be provided for checking at stages throughout the design process. When the project proof(s) have been approved, a Final Invoice will be issued. Final Invoices must be paid within 7 working days unless otherwise agreed. When we receive the Final Invoice payment, we will release the artwork/design to the client. At this point, all copyright to the artwork/design will be assigned to the client. We believe this process allows both Bulldog Creatrix and its clients to fully understand the undertakings, providing clarity and transparency. * Please note, the approved Estimate allows for reasonable variation from the original Return Brief. Projects often change slightly during the design process and that is expected. However, should there be a significant variation from the original Return Brief, then Variation Costs may apply. We will inform clients if this is deemed necessary and a new Estimate will be issued for our client's approval.